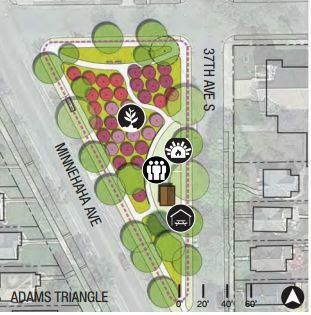 Adams Triangle has been identified in the Minnehaha-Hiawatha Community Works investment framework as a unique opportunity to create a public space and community amenity along Minnehaha Avenue. 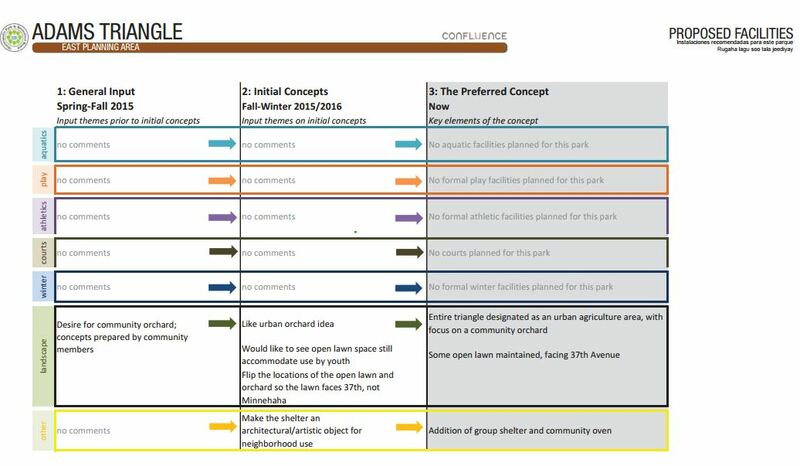 The MPRB with community support have developed a park concept that integrates sustainability, community orchards, stormwater management, and public space improvements. It’s time for the City of Minneapolis’ annual City Tree Program. Minneapolis property owners — including residents, businesses and nonprofits — are eligible to purchase a tree for $25. You can choose from several varieties and sizes of trees, including fruit trees. Trees are available on a first-come, first-served basis. Order online beginning March 23rd for the best selection. Go to the Tree Trust website for more info or to order a tree. Hennepin County’s monthly Fix-It-Clinics provide an opportunity for residents to receive free, guided assistance from volunteers with repair skills to disassemble, troubleshoot, and fix their broken household items. 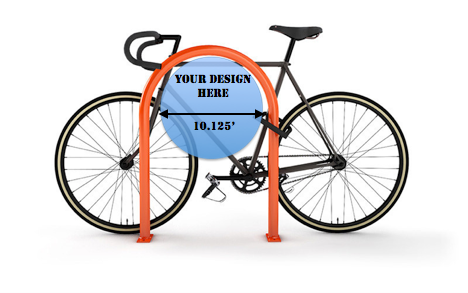 Items could include small household appliances, lamps, clothing, electronics, mobile devices, and more. Volunteer fixers who have skills in electrical, mechanical or electronics repair, wood working, sewing or general tinkering are essential to making the clinics successful. The clinic comes to Longfellow on Saturday, February 14 from 12 noon to 4 pm at the Longfellow Park Recreation Center at 36th Avenue and 35th Street. 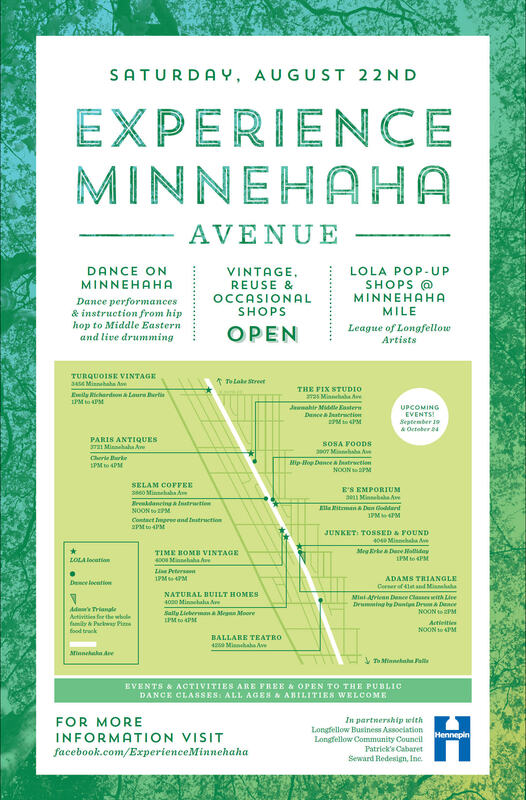 For more information or to volunteer, contact Nancy Lo at nancy.lo@hennepin.us or 612-348-9195.